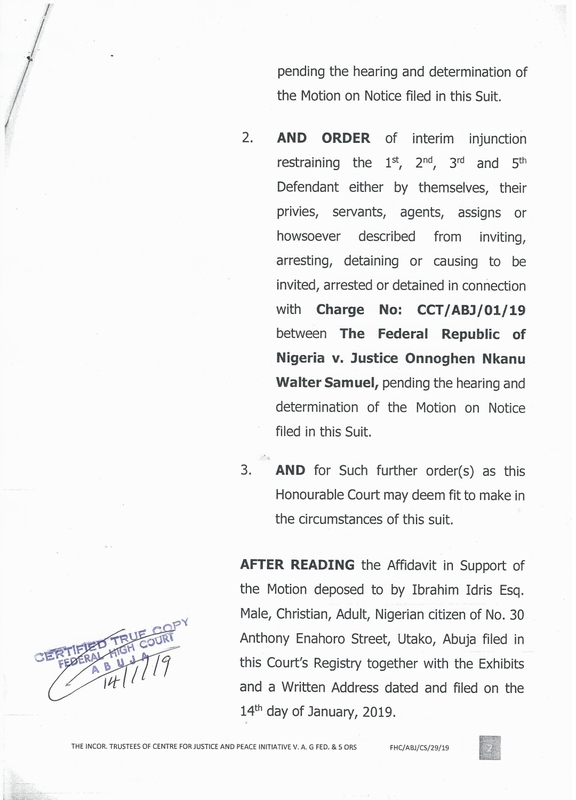 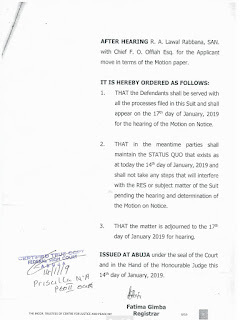 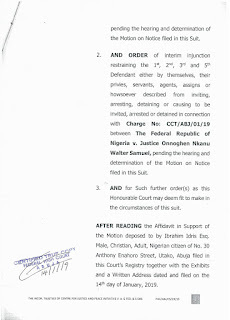 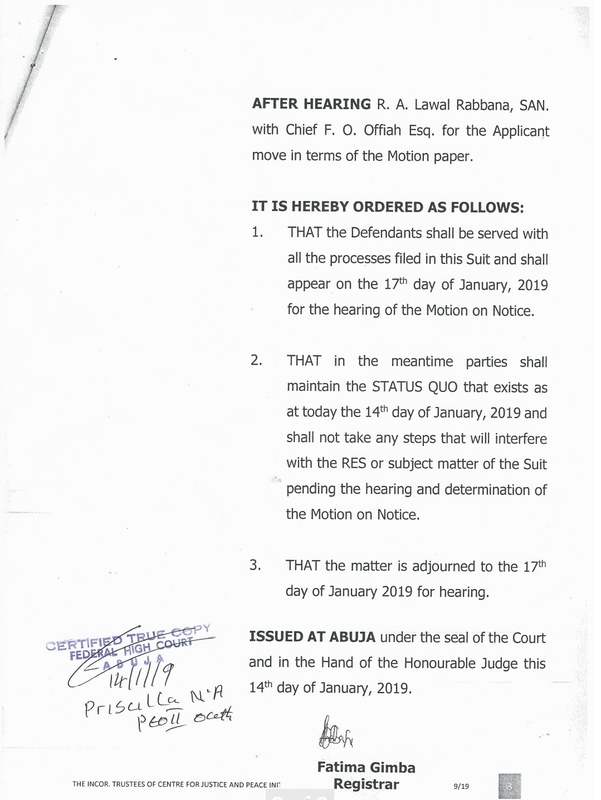 The Abuja Division of the Federal High Court on Monday, 14th January,2019, restrained the Code of Conduct Tribunal from proceeding with the trial of Nigeria’s Chief Justice Walter Onnoghen for alleged false asset declaration. Following two separate ex-parte applications seeking the same objective at the federal high court, a judge, N.E Maha, directed that parties involved in the matter appear before it on Thursday to explain why the trial should not be halted. 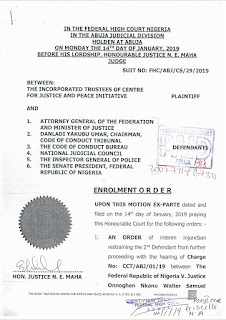 Find above the order of the Federal High Court.